Today I watched my first ever mountain road race. 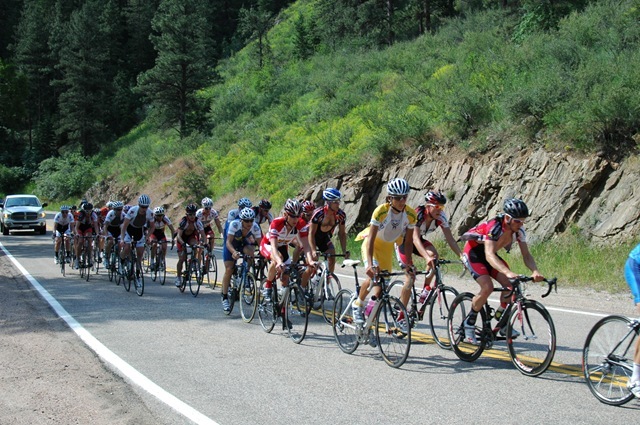 It was the Rist Canyon Road Race in Fort Collins Colorado. It was the kick off for Bike week in Fort Collins. It started out on Friday night with a family ride through historic Old Fort Collins followed by a concert in the pedestrian mall. 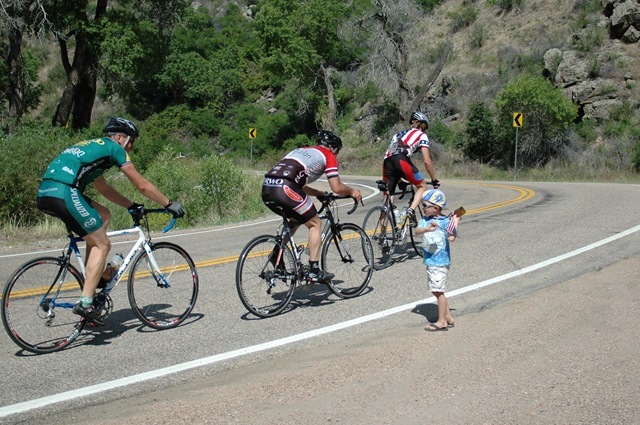 Then on Saturday they conducted a series of citizen races up to the top of Horsetooth Reservoir. The big race was today, this race was for different classes of pro riders. 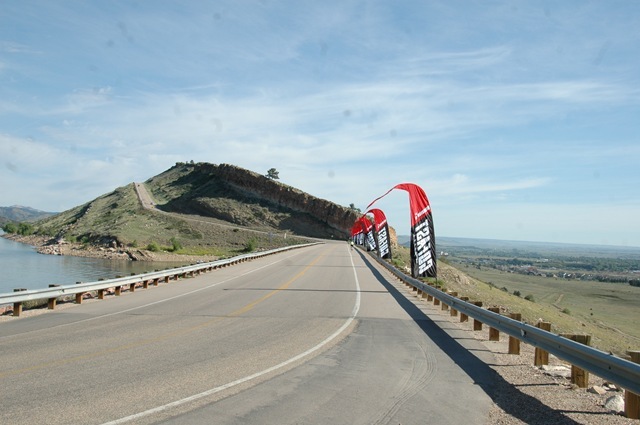 The race included an 18.5 mile climb of 4,000 feet, it was awesome to see great athletes perform on this mountain. I would love to see some of you guys up here on these hills…..Just kidding! I thought you might enjoy some of the photos….We were on the side of the road with our cow bells ala Tour de France enjoying the early morning in the mountains, it was a great weekend……So long for now and keep on pedaling. My Grandson Noah Cheering them on!